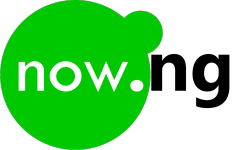 Set up a now.ng website for you, your business, organization, school, everything… Be done in 5 minutes, really. Stop paying heavily for websites. Buy your domain name now for N200. Now you and your brand can be online at the best price, this is as easy as it gets, get a website now. Why pay so much to get a website? Most websites do not require too much heavy stuff, but they all still pay dearly for development, hosting and maintenance. Now.ng is pleased to help you get your website instantly without having to pay too many people to get it done — and at a very ridiculous price too.